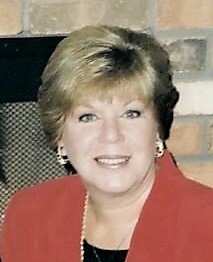 Maryjo Anne Galle-Erickson, 74 of Galena, IL and formerly Dubuque, IA passed away Tuesday, March 26, 2019 at her home after a quick fight with cancer. There will be a private ceremony for family at Mount Calvary at a later date. A Celebration of Life service will be held at a later date in July. Cremation rites have been accorded. The Furlong Funeral Chapel, Galena is assisting the family. Maryjo lived most of her life in Arizona as a property manager. She was a desert rat for sure. She loved to go dancing with her friends, playing on the river, or hanging with her grandkids. She was the cool grandma! She loved working at the Town Rebel and made some great friends. Most of all she loved her family time. She will be dearly missed. Survivors include her children, Shellie Hall, Sharon (Wayne) Ameskamp, Mike Donahue Jr., Stephanie (Guy) Cheevers and Tiara (Ed) Newton, six grandchildren and two great grandchildren. The family would like to thank the staff at Hospice East of Dubuque! You ladies are wonderful!